Bachelor in Paradise will be back this summer after all. Today, ABC announced season four will premiere in August. As reported earlier, Warner Bros. shut down production on season four after allegations of sexual misconduct arose. However, after an internal investigation found no evidence, the production studio resumed filming on the reality show spin-off. 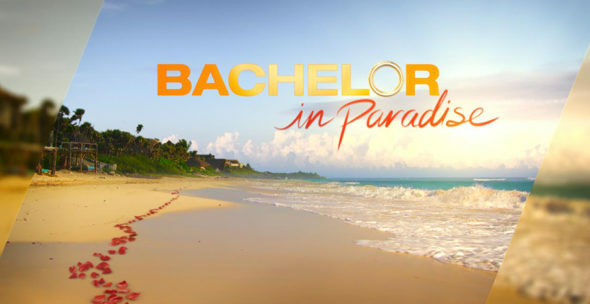 Now, the new season of Bachelor in Paradise will premiere on August 14th at 8 p.m. ET/PT. ABC sets a new date for the summer breakout series “Bachelor in Paradise,” with a two-night premiere kicking off MONDAY, AUGUST 14 (8:00-10:01 p.m. EDT) and TUESDAY, AUGUST 15 (8:00-10:00 p.m. EDT), on The ABC Television Network. Warner Bros. suspended filming on the fourth season of the hit series earlier this summer to investigate allegations of misconduct. After completing their internal investigation, Warner Bros. concluded that there was no misconduct and production resumed. Over the course of six weeks, fan favorites from “The Bachelor” franchise get a second chance at love while living together in Mexico, in a secluded and dreamy paradise. Viewers will watch as they fall in love or go through renewed heartbreak. Plus, America will have a front seat at the highly anticipated wedding of “Bachelor in Paradise” season 3 lovebirds, Carly Waddell and Evan Bass. Additional bachelors and bachelorettes will be announced at a later date. What do you think? Have you seen Bachelor in Paradise? Will you watch season four? The show should be permanently canceled! For what happened it’s amazing they can still allow the showing go on! It shows the value core of what and how women are treated! Sad sad sad this is not the way to promote good values! Then again look at the network and then see it again! That show is garbage, as are all shows of that genre. No one ACTS NATURALLY’ when they know they’re being recorded. I won’t waste a minute on that junk. I hope YOU don’t, either, so they’ll be cancelled.